The endowed scholarship created in memory of Valencia student Christine “Tina” Collyer will begin distributing to Valencia College students in 2014. Family and friends of Tina celebrated her memory in the following letter that thanked community members and contributors of this learning legacy. 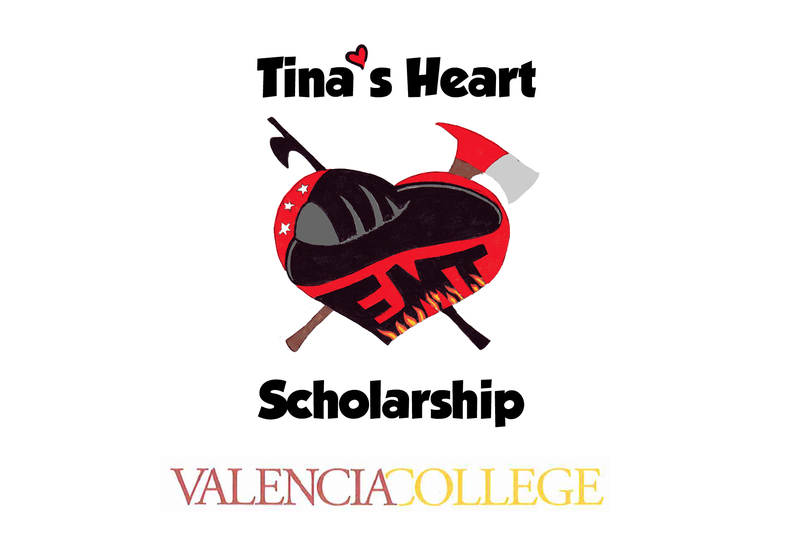 We are happy to announce that the Tina’s Heart Scholarship in memory of Tina Collyer is now endowed! Starting in 2014, Valencia will award one scholarship every year to a freshman student who will attend Valencia. EVERY YEAR!!! Although the specific criteria for eligibility to receive the scholarship has not been finalized, it will be awarded to a student who has participated in the Fire Department Explorer program and wants to pursue a career as a firefighter/EMT. The Orlando Fire Department Explorer program was at the center of Tina’s heart, and she inspired the Explorers that she guided through the program. Tina’s legacy will live on in our memories and this scholarship will extend that legacy to future Explorers! Thank you so much for your donation to Tina’s Heart Scholarship, as your generosity made this scholarship possible. Most donations came through our 2011 and 2012 Tina’s Turn Out events at Lake Eola, through the Valencia Alumni Association, and through the 2013 graduating class at Valencia College. We are so very grateful to all of you. Please celebrate Tina whenever you think of her – when you take a walk around Lake Eola, or when you hear a fire truck, or just whenever you think of her crazy antics. P.S. If you would like to provide input on the eligibility and selection criteria prior to the 2014 Scholarship season, please contact Shannon Omark at sbomark@mchsi.com or Suzanne Rhodes at suz403@yahoo.com prior to March 1, 2014. Christine ”Tina” Collyer’s lifelong dream of becoming a fire fighter was ignited by an AS degree in Fire Officer Technology, an AS in Emergency Medical Service Technology and a certificate in Paramedic Technology from Valencia Community College. In January of 1996 she joined the Orlando Fire Department and also served as Paramedic and instructor for the department and citizens of Orlando. Tina was the Explorer Advisor for many years and proudly served on the Honor Guard. Her contributions to the Orlando community extended as a volunteer with Burn Camp, Dream Flight, and the Winnie Palmer Secret Santa. Friends and family are honoring Tina’s commitment to learning and her giving spirit with a scholarship in her honor. The family wanted to create hope with Tina’s Heart marking one year since Tina’s passing in October 2008. For more information about the efforts of this committee in memory of Valencia Grad Tina Collyer please read the blogs In memory of Tina Collyer and The results are in: Tina’s Turnout for scholarships.